Since 1992, REACHA has been experimenting with education and knowledge-sharing in communities. Dearth of a responsive Education system in the county has encouraged it to provide need based, community led, training, guidance and support to school children, government authorities, teachers and parents. 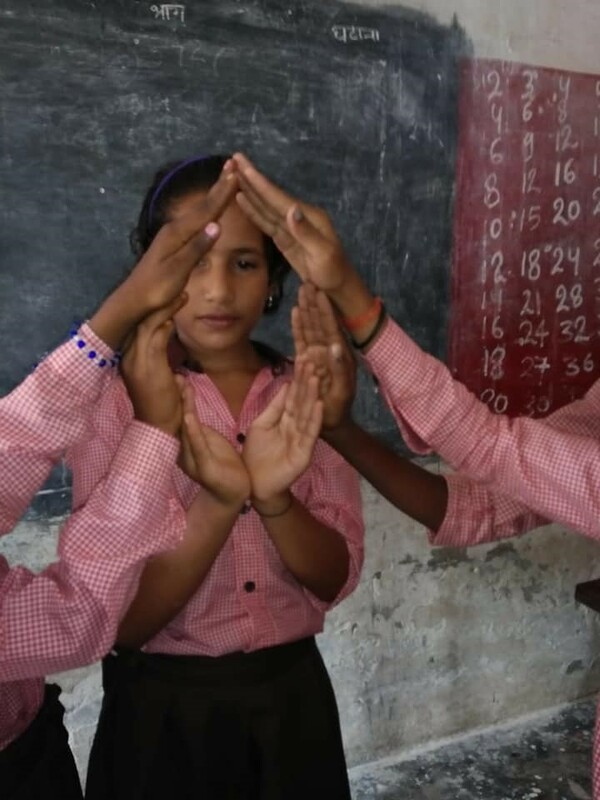 REACHA has done fundamental work in primary and secondary education over these years and has developed learning tools through PBL (Project Based Learning) that connect core concepts of fundamental subjects - Math, Science and Language (Hindi and English) - in school curriculum to the real world of the child. This connect leads to LEARNING WITH UNDERSTANDING wherein the core concepts are APPLIED to solve REAL WORLD PROBLEMS that the child faces daily. As core concepts are strengthened in this process, the child is also able to better grasp and learn the formal school curriculum as defined by government / Education Department. This model is called LEARN - Learning in Education through Applied Reinforcement as per Needs. Young women from the same neighborhood are engaged as ACTIVE PARTNERS AND CHANGE AGENTS in the form of COMMUNITY TEACHERS in this process of child development and community transformation. REACHA co-creates PBL modules with these teachers so that there is ownership and sustainability. There is close COLLABORATION between community teachers and government school teachers in every school where LEARN rolls out. This seeks to ensure that impactful transaction pedagogy is passed on from LEARN class to the formal school. Children and teachers are encouraged not to shy away from failure. Each such incidence is dissected to understand the WHY and HOW of what happened. This de-construct enables and reinforces the approach of LEARNING WITH UNDERSTANDING. LEARN was developed through trial and error and applied research while teaching school children and engaging deeply with teachers, Principals and parents from across the country. 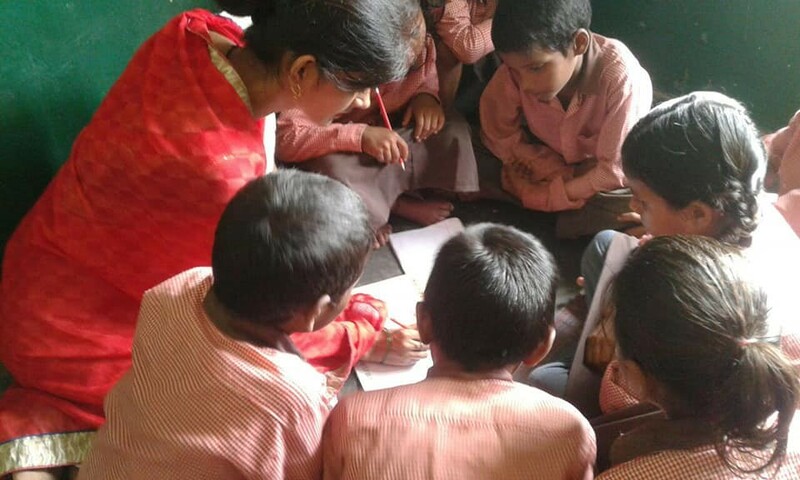 REACHA aims to impart remedial education through LEARN to primary school children in educationally backward rural/remote areas as well as urban slums through this unique, scientific approach. Rural Electrification Corporation Limited (REC), A Govt. 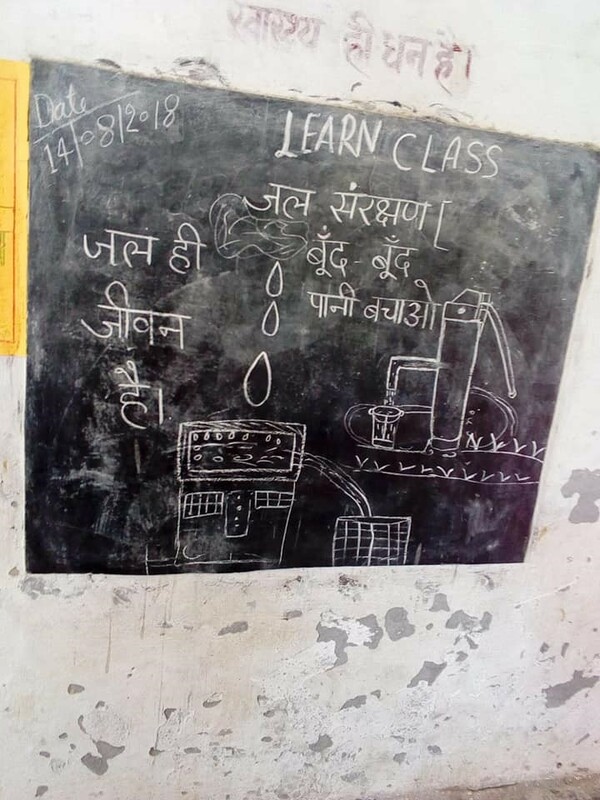 Of India Navratna Enterprise, committed financial assistance under CSR initiative to REACHA for the project - improving learning outcomes in primary education to 3000 children in government schools through PBL (Project Based Learning)/LEARN in Atraulia block of Azamgarh district of Uttar Pradesh. An MoU was signed in January 2018 and the project kicked off from February 2018. The project aims to improve access, retention and learning outcomes for children in age group of 6-14 years, to enroll and mainstream residual out-of-school children from the disadvantaged and marginalized social groups, to improve retention in schools and to lower dropout rates in Atraulia Block. "When we started the LEARN project in Atrauliya government schools, there were a lot of inhibitions and hurdles that we faced. Villages are economically and socially backward, and families did not send their children to school to study and learn, but rather sent them to get one square (mid-day) meal for the day. The free food was their only goal to send their child to school – this would save them money at home to feed the child. Children too were not keen to learn. They did not go to school regularly. Moreover, they lacked basic classroom manners, health and hygiene knowledge and confidence about their abilities to learn. Prior to start of Project LEARN, they were taught in masses – with rote learning as thrust. The teacher would make them learn counting 1 to 100 in a day, with little or no understanding. As a result, they were unable to even identify numbers when asked. There were many challenges we had to face to start this Project. We had to work on the ground, with communities, parents and government school teachers more than in the classroom to convince what we were attempting. So, firstly I went around the village to talk to families. I counselled them about the importance of education and how their children can one day pull them out of poverty if encouraged to study, with understanding. There were four children who dropped out of school when I began teaching. It disturbed me immensely that they were depriving themselves of this opportunity. I went to their house to talk to them. Every time I would go they would hide or run away from me. After many visits, I convinced them to come to class. Today, three of them come every day to school and are keen learners. In classroom one major challenge was that students asked me to myself write in their notebooks while I tried teaching them using the board. It took me some time to make them realize that listening and grasping concepts was important. They must then write in notebooks themselves after hearing, listening and understanding. Only then should I check their copies. Through LEARN we teach them through stories. We create a story out of their syllabus for math, science and social science. Through the stories they not only learn the concepts but also how to apply them in everyday life. They enjoy listening to stories so much that now that they ask me every day to tell them one. We teach them through Project Based Learning (PBL) which connects concepts in curriculum text books to their daily lives. We try and teach them one concept, one story at a time, with applied aspect of each such concept. It fills my heart with immense pleasure that my students now look forward to coming to school. Not only do they grasp the concepts better but there has been an overall positive change in their attitude, personalities and confidence. I wish to give them the gift of education and enlighten and bring more children and families into the loop of empowerment as long as I can." Mrs. Beauty Singh - LEARN teacher. We welcome conscientious individuals and institutions to join hands in our efforts to strengthen nation-building through peaceful collaboration and convergence. 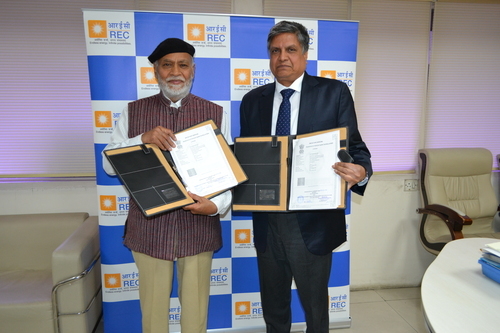 The Memorandum of Agreement (MoA) in this regard was executed between REC Foundation and REACHA in New Delhi on 29.01.2018 in presence of Shri Sanjiv Garg, CEO, REC Foundation (above right). Shri Rajpal Singh, DGM, REC (above, 2nd from right), on behalf of REC Foundation and Shri J C Pant, Chairman, REACHA (above, 4th from left) signed the MoA in the presence of other officials of REC and REACHA.